Tim Jones writes novels, short stories and poetry. Check out his new novella Landfall. You can contact Tim at senjmito@gmail.com. On Twitter: http://twitter.com/timjonesbooks. New Sea Land is my new poetry collection from Mākaro Press. You can buy it direct from the publisher using their online order form. Landfall is my new novella from Paper Road Press. You can buy Landfall from Amazon.com as a Kindle ebook. The Stars Like Sand: Australian Speculative Poetry is a well-reviewed 2014 anthology of Australian science fiction, fantasy and horror poetry that I co-edited with P. S. Cottier. You can buy The Stars Like Sand from Amazon.com as a paperback or Kindle ebook. Men Briefly Explained is my 2011 poetry collection that explains men, briefly. You can buy Men Briefly Explained from Amazon.com as a paperback or Kindle ebook. My 2008 collection Transported: Short Stories is available as a Kindle ebook. I'm a writer, editor, anthologist, and now blogger who was born in Grimsby, Lincolnshire, England and moved to New Zealand with my family when I was 2. I grew up on the West Coast and in Southland, then went to Dunedin to go to Otago University before moving to Wellington in 1993. I'm married with one child. I'm juggling the writing of poetry, short fiction and novels, working part time, trying to be a good husband and father, and working hard to get New Zealand to take effective action on climate change - not to mention all the other problems the world faces. Life is busy! If not for that ship I’d have been Rod Temperton. Played in dance bands in my spare time. A funk band formed by a Vietnam War vet. With good ears, to write songs for Michael Jackson. Perfected on just his second take. Till the cosmic actuary’s dice came up snake eyes. If I’d had the slightest glimmering of musical ability. Suit sharp, still funky, always on the one. Credit note: "On the One" appears in my new poetry chapbook Big Hair Was Everywhere: music poems, Number 34 in the ESAW mini series, published by Earl of Seacliff Art Workshop (Paekarariki, 2019), ISBN 978-1-86942-163-0. It is previously unpublished, and was written for inclusion in the chapbook. Tim says: Music was important to my parents, and it's important to me - many different genres of music, despite the fact I can't play a note other than Middle C. My new chapbook Big Hair Was Everywhere brings together my recent poems about music into one neat little A6 package - available from me for $5! Chase me up for a copy at forthcoming poetry readings. 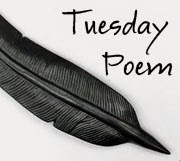 It's time to restart "Poem of the Month" for 2019. I've chosen a newish one of my own to start with. I've just had a chapbook published that has some of my happier, chirpier poems of recent times - and I'll tell you more about that soon. But this isn't one of those poems. I didn't know about Extinction Rebellion when I wrote it, but now that I do, I'm dedicating it to them and their work. cowering from the circling threats above. spring’s new growth at blackened birth. designed for a more forgiving world. two thin rings of life receding polewards. reached out to grasp the embers of a forest fire. The Pegasus Poetry Series 2019, Starting Friday 8 February: What A Lineup! Therese Lloyd and Pegasus Books have organised a wonderful series of poetry readings in Wellington, spanning the whole year. The readings are on Friday nights at Pegasus Books in the Left Bank off Cuba Mall, starting at 6.30pm. Just look at the lineup below! I'm very pleased that Therese has included me in the third reading in this series, on May the 3rd, with Sam Duckor-Jones, Chris Price, and Chris Tse. I'll be reading from my latest collection, New Sea Land (Mākaro Press, 2016), and all being well, I'll also have a new chapbook at the reading, Big Hair Was Everywhere. And, saving the best till last, this may finally be the year I move off Blogger! Though, in that regard, I haven't moved much further than lento to adagio. three dollars a day. Sandra and me. a whole bank on her small efficient feet. and roads blank, too, not a soul out. took it in turns lying under the leak. Credit note: "Kikoi for sleeping in" by Mary McCallum is reproduced by permission of the author and publisher from Mary's collection XYZ of Happiness (Mākaro Press, 2018). 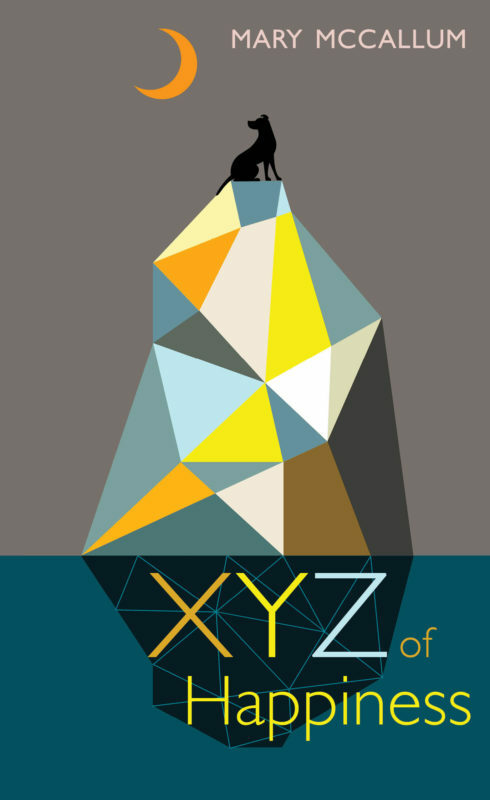 For more information and to buy copies of XYZ of Happiness, go to https://makaropress.co.nz/submarine-books-2/xyz-of-happiness-by-mary-mccallum/. The book is available from the website and all good bookstores for the RRP of $25. Tim says: XYZ of Happiness is a collection I read recently with a great deal of pleasure and admiration. While the nominal theme is 'happiness', there are a whole range of emotions and experiences in play, as the wonderful poem above shows. This is much longer than my usual "Poem of the Month" picks, but "Kikoi for sleeping in" is so good I couldn't resist. Thank you for the opportunity to post this poem, Mary! 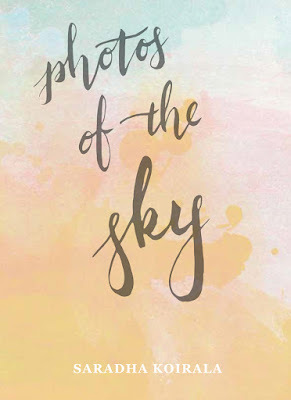 Book launch on 5 November in Wellington: Saradha Koirala's new poetry collection "Photos of the Sky"
I'm very flattered that Saradha Koirala has asked me to launch her third poetry collection Photos of the Sky in Wellington on Monday 5 November. Here are the details of the launch. You're invited! What: Wellington launch of Photos of the Sky by Saradha Koirala, published by The Cuba Press. I've followed and posted about Saradha's career as a poet and novelist. Her work ticks all the boxes for me: skill, thought, and heart. The collection starts with a declaration; ends in realisation. In between is a journey of reaching across the Tasman, shifting to a new home, reaching a place of disquiet and starting again. The full spectrum of emotions brings with it rain, sweat, tears, wildflowers and the promise of snow. I'm also very happy to support The Cuba Press - a new Wellington press which is really making moves in a range of genres. They are open for submissions until 1 December - check out their submission guidelines. With Saradha's permission, here is her poem "Confession, confessed". This serves as an excellent introduction to Photos of the Sky. I hope you can make it to the launch! the one from whom the secret is kept. the cause and effect of all that is curious. and I too have cut fleshy shapes from my life. that has in turn been there for me. I’ve been the reason and I’ve been the excuse. I’ve been falsely accused, rightly refused. I am the reason you needed an alibi. Credit note: This untitled poem by Trish Harris is reproduced by permission of the author from her collection My wide white bed (Landing Press, 2017). For more information and to buy copies of My wide white bed, go to https://landingpress.wordpress.com/upcoming-titles/my-wide-white-bed/ . Books are available from the website and all good bookstores for $22. 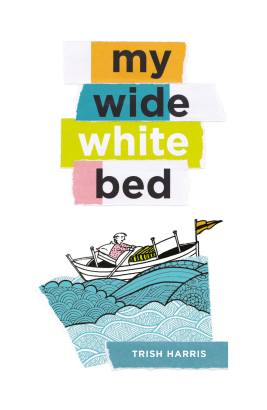 Tim says: I would have enjoyed and been moved by the poems in My wide white bed at any time, but it was an especially poignant reading experience for me this year after both my father and I had stints in hospital during 2017 - his, unfortunately, terminal. My Dad spent the last two weeks of his life in Hutt Hospital, which is the same hospital that provides the closely observed backdrop of Trish's poems. So I can say from personal experience that what Trish Harris describes in this poem, and the confusing mixture of the personal and the impersonal one experiences as a hospital patient or even as a the visitor of a hospital patient, rings very true to life. Book Review: Keith Westwater, "No One Home"
"No One Home" is exactly what it says on the cover: "a boyhood memoir in letters and poems". But though this blurb is correct, the book is so much more. It's both a moving story of a childhood marred by cruelty and neglect and a very interesting and effective formal experiment in how to construct a memoir through a variety of poetic forms. To me, a word is worth a thousand pictures. When it comes to a new book of poetry, I tend to take a quick look at the cover, think "that looks nice", and head straight for the bio, the intro, and the poems. But this time round, I paid attention to the form of the book first. Between the boyhood photo on the front cover and the title poem reproduced on the back, there are reproductions of hand-written letters between family members, newspaper clippings, hand-drawn maps and diagrams, family photos, official letters, poems, prose poems, haibun, short non-fiction narratives - and more. The great thing is that it all fits together so well to tell a story of a young boy's upbringing and effective abandonment in the wastelands of mid-20th-century New Zealand. That narrative ends with the young boy's entry into the Army, and is followed by a brief coda of poems looking back. 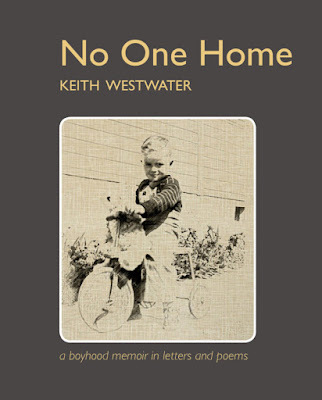 Keith Westwater's two previous collections are as focused outwards as inwards, but do tell a lot of the story that followed his entry into - and in many ways, rescue by - Army life. up and down life’s street. It's hard to convey the full flavour of this book in an extract: it deserves to be read in full, and I recommend that you do so.